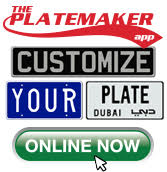 Licenseplates.tv is pleased to offer our customers and Affiliate partners the largest and most diverse selection of custom metal replica license plates on the internet. From virtually perfect reproductions of iconic antique USA State embossed metal license plates to perfect recreations of European and International license plates from over 150 countries. We pride ourselves in delivering license plates with authentic fonts which are embossed on aluminum, no flat replica license plates which deceive many customers. Our team at Licenseplates.tv can manufacture millions of different types of license plates and produce more different plates on any given day than any other manufacturer in the world! 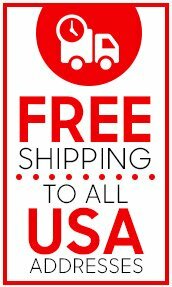 No other internet retailer comes close!. Our customers are fastidious about their cars and license plates and select Licenseplates.tv because of our quality and quick order processing times. By joining our Affiliate program you can create revenue by providing access to over 5,000 license plates with millions of combinations of authentic fonts, colors, layouts and sizes! As our Affiliate, you can select landing pages on our website or feature the entire website. From becoming a member to choosing what promotions to host on your site, our program was designed to be simple. Licenseplates.tv has partnered with www.shareasale.com to provide you the tools you need to earn commissions, while we handle all the ordering, shipping, and billing processes. Earn commission on all products, without any restrictions. Our average sale is over $100, so with a fixed commission rate of 7%, the average gross commission per a sale is $7! It’s Easy & Free To Join!